THE controversies trailing the recently conducted local government election in Plateau State are yet to abate as many of the 13 council chairmen sworn in shortly after the October, 10, 2018 election are yet to settle down. Pockets of protests have been going on in many local councils with aggrieved youths preventing the sworn in chairmen from occupying their offices. Many of the chairmen, whose hand-over ceremonies were low key, are unable to swear in their councillors and those who did either did so outside the council secretariats or amid tight security at the secretariats. At press time only five local councils have sworn in their councillors. The said election though peaceful, later became controversial as the Plateau State Independent Electoral Commission (PLASIEC) officials abandoned the different collation centres without announcing the results. 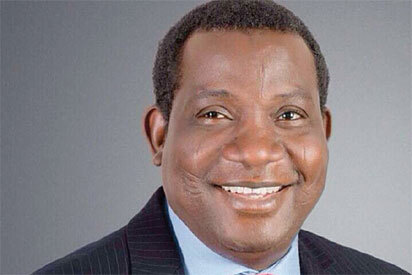 PLASIEC Chairman, Fabian Ntung, later announced candidates of the All Progressives Congress, APC, as winners of the 13 local government areas where election was conducted and Governor Simon Lalong promptly swore them in. A PLASIEC Commissioner, Dr. Stephen Hirse who was in-charge of Budget and Planning, recently resigned his appointment with the Commission and unconfirmed reports said it had to do with the controversial local government election. The State Chapter of the Peoples Democratic Party, PDP, congratulated Dr. Hirse on his resignation, saying the act had distinguished him as a man of integrity. Not ready to forego his mandate, the Chairmanship candidate of the PDP, in Langtang North Local Government Area, Ubandoma Laven, has vowed to recover his mandate saying the hurried swearing in of the APC candidate, Nanloh Amos, was a scam. However, the few councillors on the platform of the PDP who won their seats have refused to be sworn in when the chairmen swore-in their APC counterparts and the State Government is still appealing to aggrieved persons to approach the tribunal for redress and desist from any act that is capable of breaching peace. Meanwhile, the State Legal Adviser of the PDP, Barrister Binchen Jantur told Vanguard the his party is set to challenge what he termed a travesty saying allowing such to stand would not augur well for the political life of the state. His words: “We are challenging the election in the tribunal. Our team of lawyers are working assiduously and we have 15 to 20 lawyers, they are working to show the world that this type of election has not been conducted in any part of the world. They will be divided to represent the three senatorial zones.